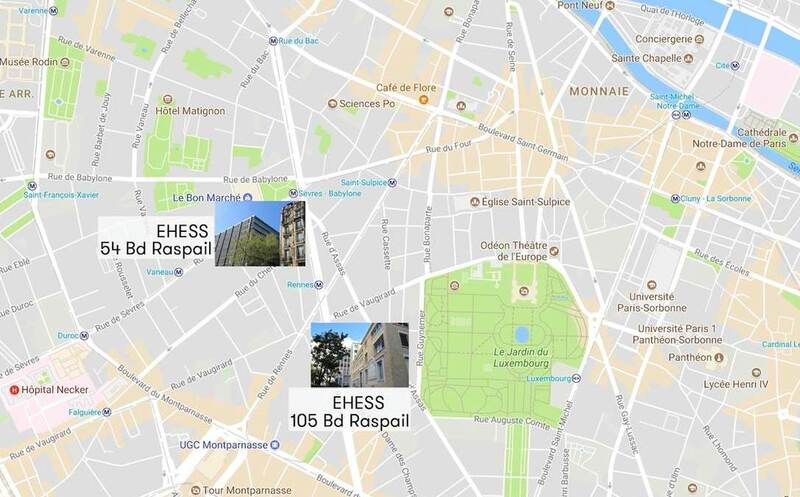 From the Paris CHDG Airport: Take Train RER B until GARE du NORD, and change to Metro #4 towards MONTROUGE and get off at Saint Placide station. From GARE du NORD (trains coming from London, Brussels, Amsterdam and Cologne): same trip. 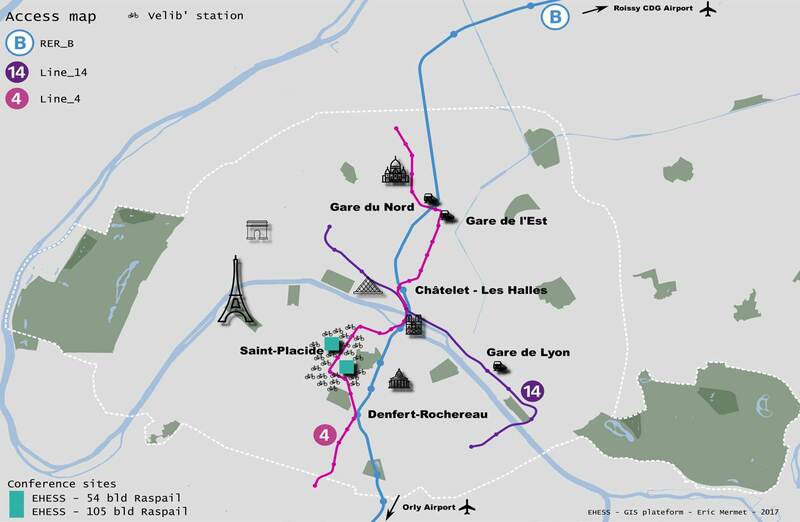 From Paris Orly Airport: Bus until Denfert-Rochereau RER station, and then take metro #4 towards Porte de Clignancourt, get off at Saint Placide station. Another possibility: take Orlyval (8 minutes of train,), until Antony RER B station. Then take RER B towards Paris and get off at Denfert-Rochereau RER station and then take metro #4 towards Porte de Clignancourt, get off at Saint Placide station. From the Paris CHDG Airport: Take Train RER B until Saint-Michel. From Paris Orly Airport: Bus until Denfert-Rochereau RER station, and then take Train RER B until Saint-Michel station. Another possibility: take Orlyval (8 minutes of train,), until Antony RER B station. Then take RER B towards Paris and get off at Saint-Michel station. From the EHESS: Metro #10 at Sèvres – Babylone towards Austerlitz station. Get off at Cluny-La Sorbonne.